1: Charlotte from Charlestown. 2: Gemma from GEMBEAR. 3: Vicky from #GOLLYGOSH. 4: Heya! 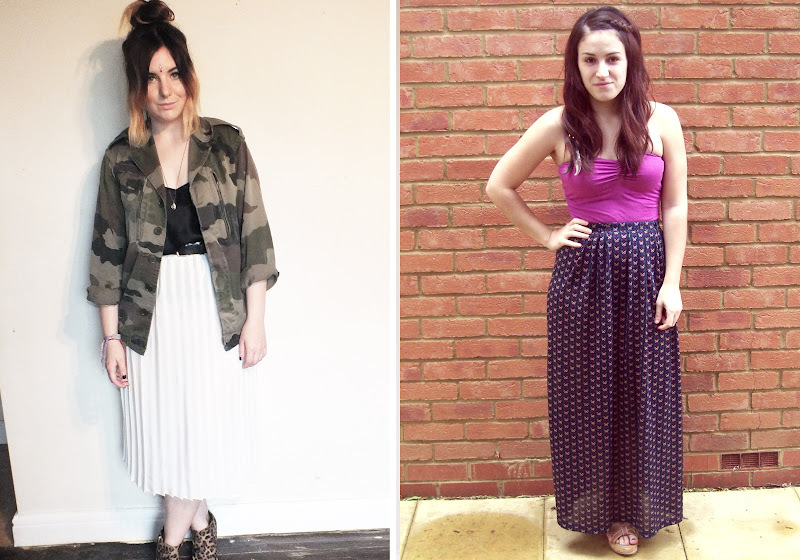 Charlotte says "I've had my maxi for a while but always felt extremely wary of wearing it. The weather isn't too good today, so I styled it with a loose fitting stripy jumper, and brown brogues, adding my floppy hat to make it a little bit different!" 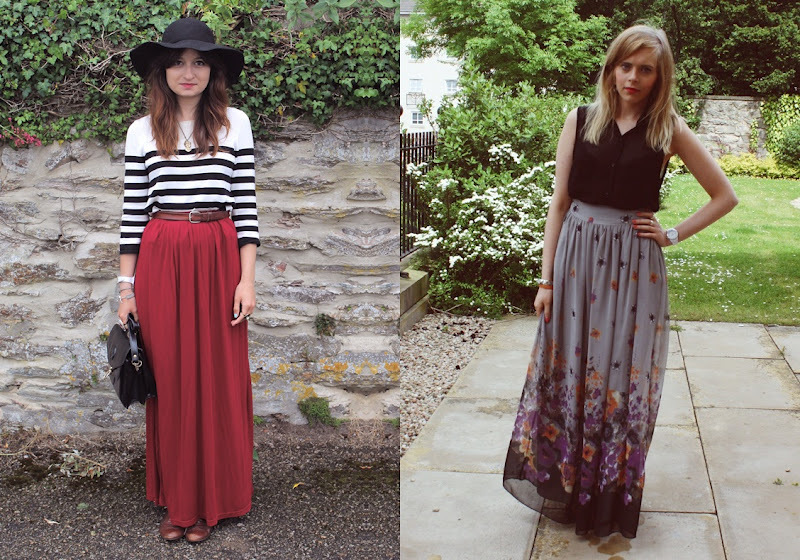 Gemma says "My style this summer has so far been very feminine, bright florals and light maxi skirts. Perfect for warm days when I want to keep my legs covered!" Vicky says "Everyone knows I love a good maxi, I think they are one of the easiest items to style and make suitable for any occasion. I am short but I think they make me look taller ironically, especially teamed with a tucked in vest or crop"
I say "I've always struggled styling a maxi. I feel that I need to wear a tight top half, in order to prove that I don't have a hidden cow under my maxi skirt. So as long as you stick to the bandeau's, you can hide those animals as you wish..